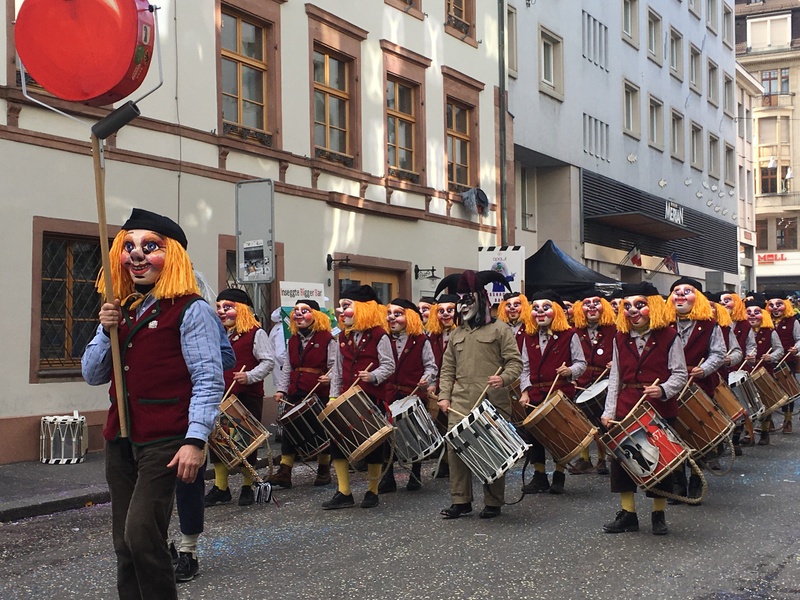 As I have friends from Basel, I’ve been hearing about Fasnacht for a long time. Tales of early morning parades and cheese-and-onion pies. 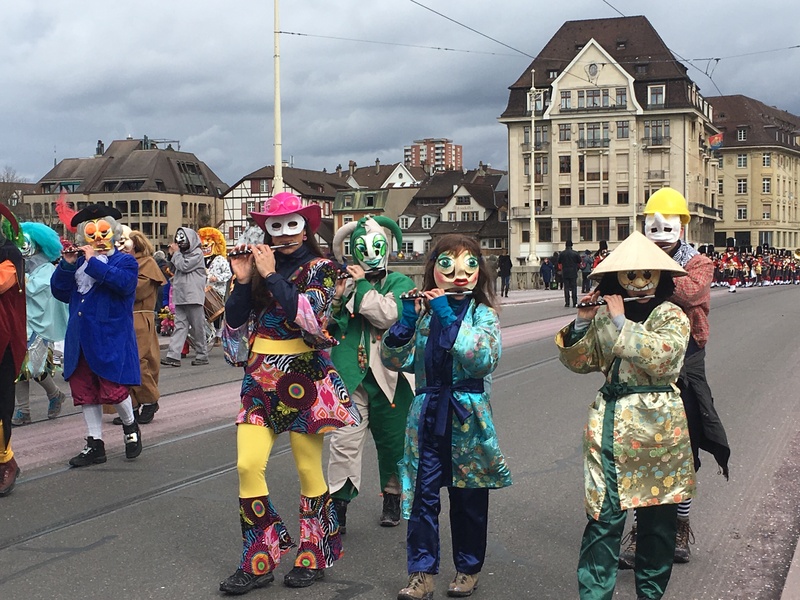 After spending an autumn weekend in Basel in 2015 and seeing the sights relating to Fasnacht, I noted future dates down in my calendar and this year I was in the right country, at the right time. I didn’t go for the full 72 hours but I definitely got a taste of what Fasnacht is about. And I’m still finding bits of confetti in random places! It’s loud and colorful and there is so much to see. 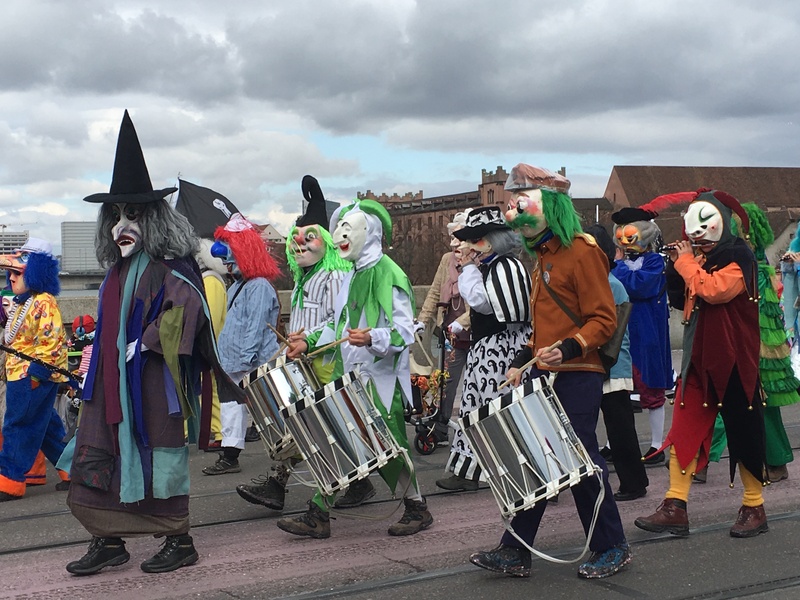 Fasnacht starts the Monday after Ash Wednesday with the Morgenstreich, a 4am lantern-lit parade through the city. I didn’t make it to the Morgenstreich, something to do with choosing to be in bed at 4am (and also being in the wrong country) but I arrived for Tuesday which is the children’s day. There are big parades (Cortèges) on the Monday and Wednesday afternoons but I found the Tuesday much more informal. 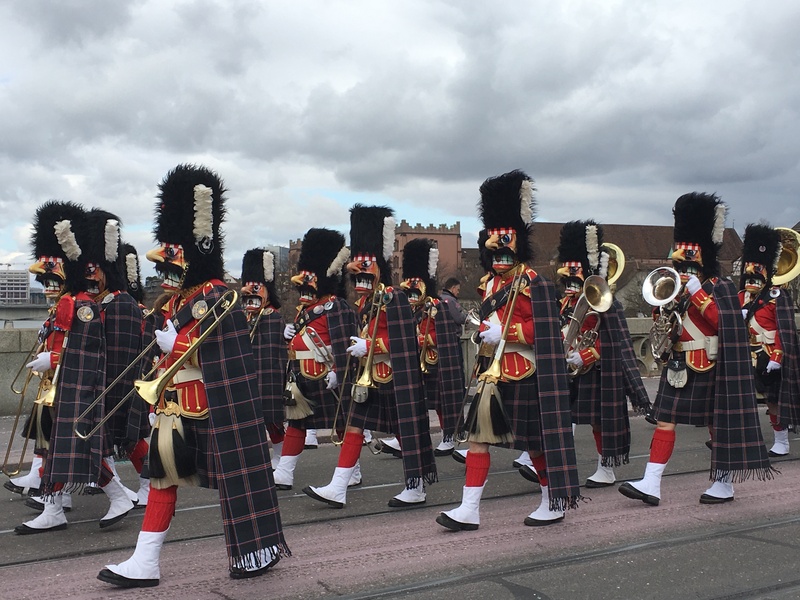 There were floats of children throwing sweets into the crowd with the music provided by small groups of drummers and pipers. What I loved though was the Guggenmusik (brass bands playing cheerfully but slightly out-of-tune). I just wandered the streets until the sound of music drew me down a side street or into a courtyard. I thought this was just the greatest thing (I love finding random music in my life) until I saw the Cortège on the Wednesday and everything became so much more. There are dozens (if not hundreds) of groups involved in Fasnacht known as Cliques. Some are marching pipe and drum groups, some ride on floats, others in elegant carriages, and then there are the Guggenmusik bands. 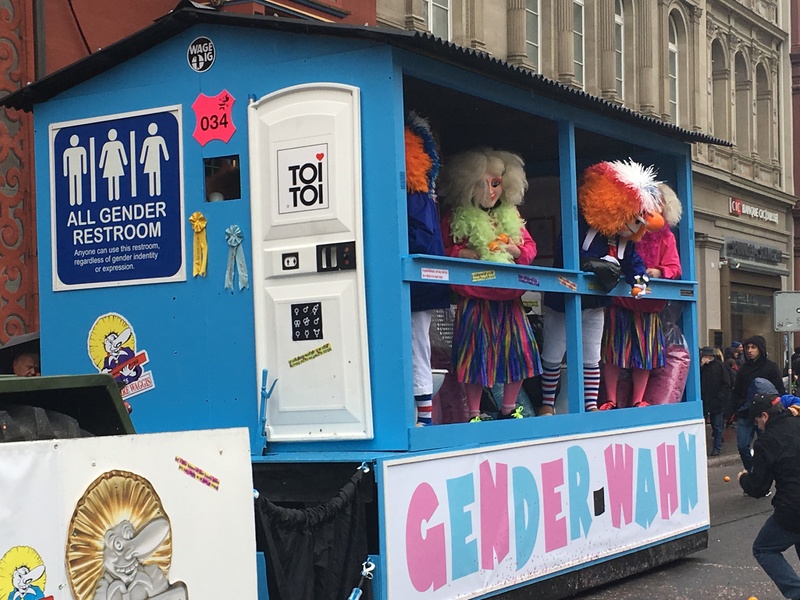 This leads to a parade of thousands of people meandering through the city, playing music, throwing sweets (and also fruit and hard-boiled eggs!) into the crowd, the whole thing accompanied by massive showers of confetti – I genuinely did not know that you can buy it by the sackful! The Cliques have a distinctive costume and often imposing papier mâché head-masks. Each Clique chooses a topical subject (Sujet) which they include in their costumes, lanterns and other props. Some Sujets were quite political with Brexit and the US being popular themes this year. My memories of Fasnacht are the color, the festiveness and the noise (in a good way). I’d like to say that I hope to return for the full three days but as someone who likes peace, tranquility and alone time, it was sometimes quite overwhelming. But it was quite a spectacle and well worth seeing.